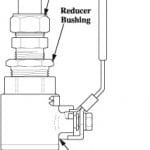 The Model SA857 is a sensor housing assembly designed for use with the replaceable Model ST857 DynaProbe® sensors. 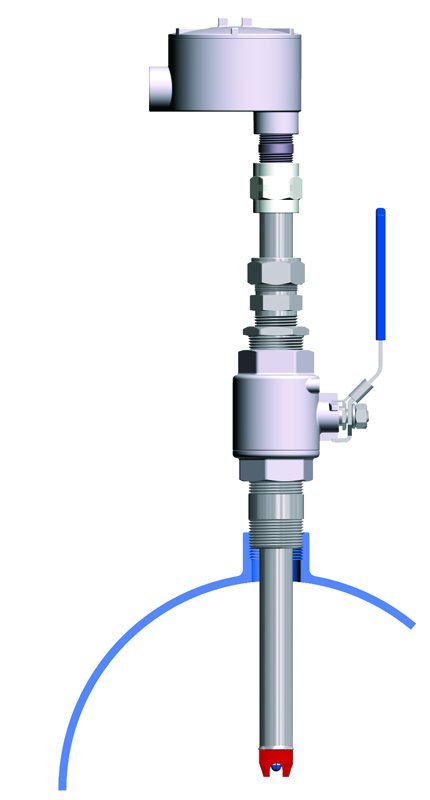 This time-proven sensor housing is suited for the most severe process industry applications and is intended for valve retraction service. The Coupler is constructed from chemically resistant Kynar (PVDF). 316 SS is the standard material of construction for all other parts of this assembly. An optional Titanium version is available. An assortment of insertion lengths are available from 2 inches to 27 inches. Viton O-ring seals are incorporated throughout this housing to prevent damage to the sensor and to retard process seepage during insertion and retraction procedures. The sheath is designed with blow-out protection, should the compression fitting be loosened at the process operating pressure. The SA857 sensor housing is designed with replaceable components providing simple and economic servicing. A completely illustrated instruction manual is supplied with each Model SA857.